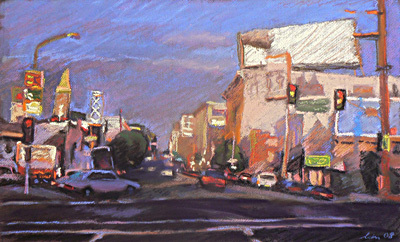 Robert Allen Fine Art is pleased to have exhibited the Spring 2009 exhibition of pastel drawings on paper and oil paintings on canvas by San Francisco artist Larry Morace. 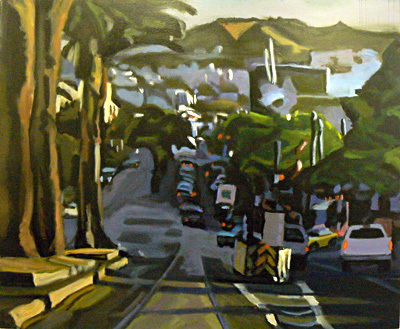 The exhibition titled “Light Moments” focused on local landscapes and urbanscapes. 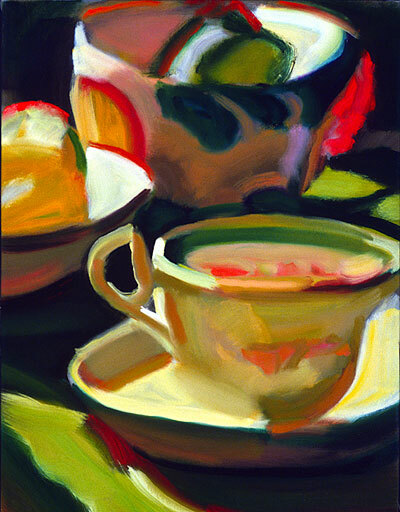 After a long and focused time in the studio exploring the subtlety of still lifes and the play of indoor light, Morace has returned to the landscape to re-examine the effect of light and shadow in the natural world. 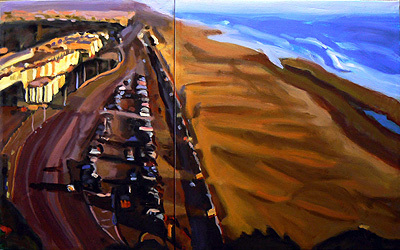 He has focused on coastal and urban interface areas where land meets water and water meets sky. 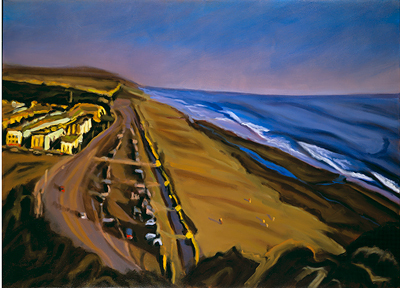 His “Ocean Beach” series challenges the viewer with his unique painterly language in considering what the essential elements of a landscape are. 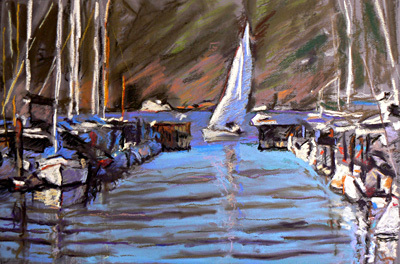 Morace has also recently begun painting and drawing in Sausalito and in the Marin Headlands. 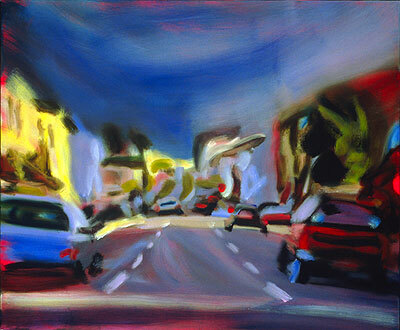 He brings an energy and vitality to the work rarely seen by other local artists. 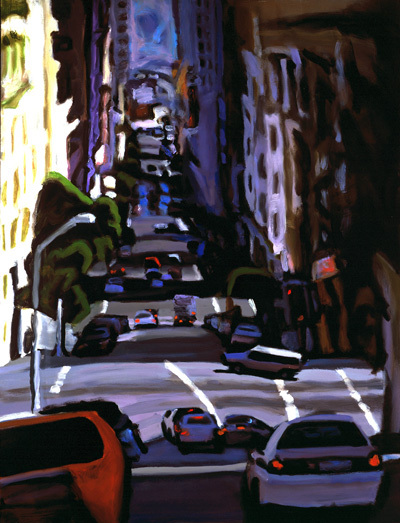 The “Urbanscapes” by Morace are very well known and most collectors identify Morace through these numerous and very recognizable paintings of the San Francisco urbanscape. These active, highly charged paintings are the result of countless hours examining the relationships of architectural form with light and movement. 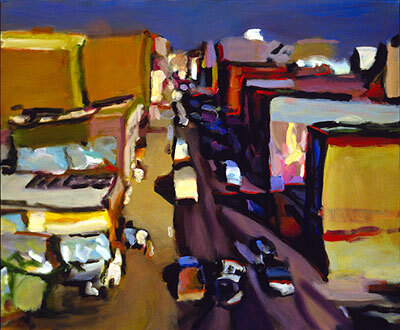 The common street scenes, locations that might not normally be extraordinary, take on a completely new life when depicted by the brash and exacting brushstrokes of Morace. 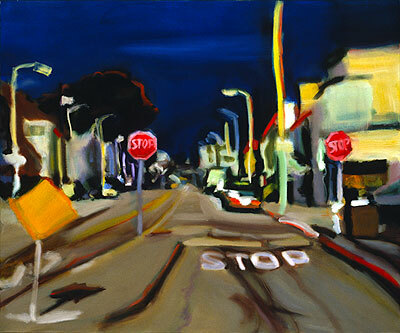 While viewing Larry Morace’s work one often feels that the image is capable of rushing by. 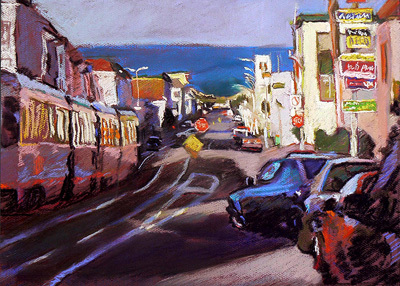 His paintings are colorful, active, extremely well painted and unique to Morace and the San Francisco Bay Area. 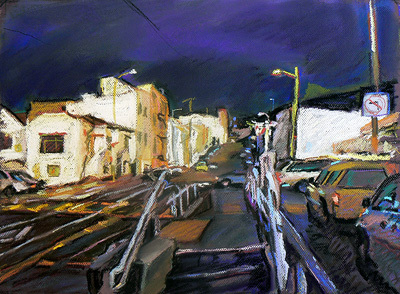 Morace’s work has been included in a variety of publications including, Art of Northern California (Alcove Books, 2003), New American Paintings (Open Studios Press, 1999), and San Francisco, The Painted City (Gibbs Smith, 1993). 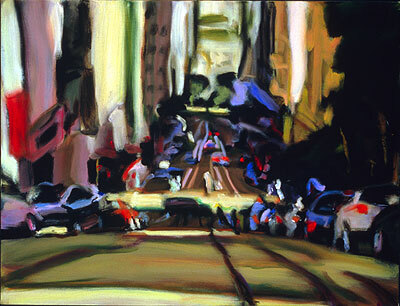 His work is included in numerous private, corporate and public collections. 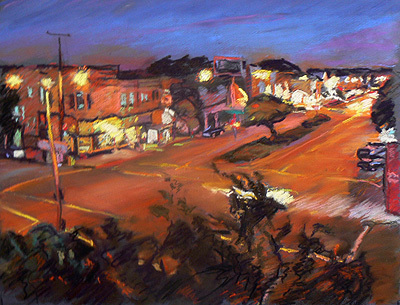 There will be a reception for the artist Thursday March 5th from 5:30  7:30 pm. 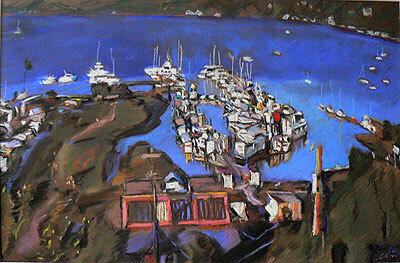 After that, the exhibition can be viewed Monday through Friday from 10am to 5pm at Robert Allen Fine Art, Sausalito. I named the show “Light Moments” as a way of describing the first cause in the chain of events in this whole endeavor of making a painting. 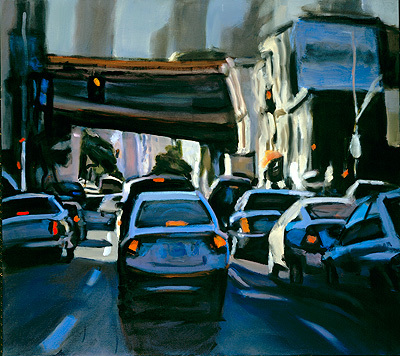 Moments of light arrange forms and colors in a certain way that excites my nervous system enough to get me started to work. I remember a quote from the artist Agnes Martin in which she referred to “moments of perfection” that she experienced in life that she wanted to recreate in her art. I now realize these moments of light that I respond to do not have to be perfect, only beautiful enough. 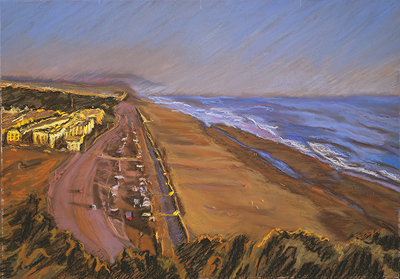 The ritual of drawing has its own rules for what is good but it does connect back to the feeling of beauty we experience when we’re caught by a moment of light. 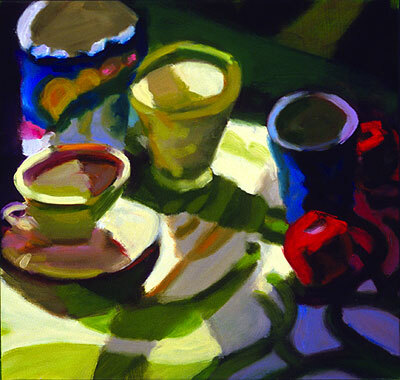 I am constantly energized by the way light can lay out shape and color in a pleasing, even inspiring, and sometimes transcendent way.